← How Do You Know You’re Being Scammed?? It’s a nonprofit, devoted to spreading ideas, usually in the form of short , powerful talks. It began in 1984 as a conference where Technology, Entertainment and Design converged. Today it covers almost all topics from science to business to global issues in more than 100 languages. I love TED Talks. I can spend hours listening to my favorite authors, film makers, artists, and musicians speak about what inspires them or why or stumbling upon a new gadget being demonstrated or an idea on how to solve a problem. TED is great for many things but did you know that there are some talks on there that are perfect for us writers? Listed below are 20 TED talks I have found that speak to the writer in me. Click on one and enjoy! I hope you take some time to enjoy at least one of these talks and that it helps inspire and motivate you in some way. 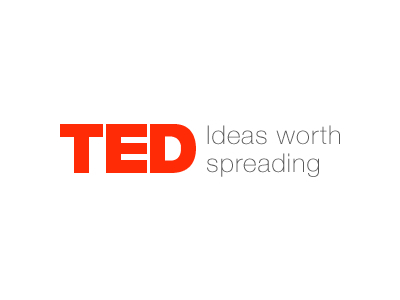 You can access TED talks through your computer or through the google play store or apple play store. This entry was posted in Writing Resources and tagged Amy Tan, Andrew Fitzgerald, Andrew Stanton, Bill Collins, Chip Kidd, Darla G. Denton, Elif Shafak, Elizabeth Gilbert, Erez Lieberman, Isabel Allende, Jarred McGinnis, Jean-Baptiste Michel, JJ Abrams, JK Rowling, Joe Sabia, Julian Friedmann, Lisa Bu, Steven Johnson, Susan Cain, TED, TED Talks, Tracy Chevalier. Bookmark the permalink.